Hi everybody! 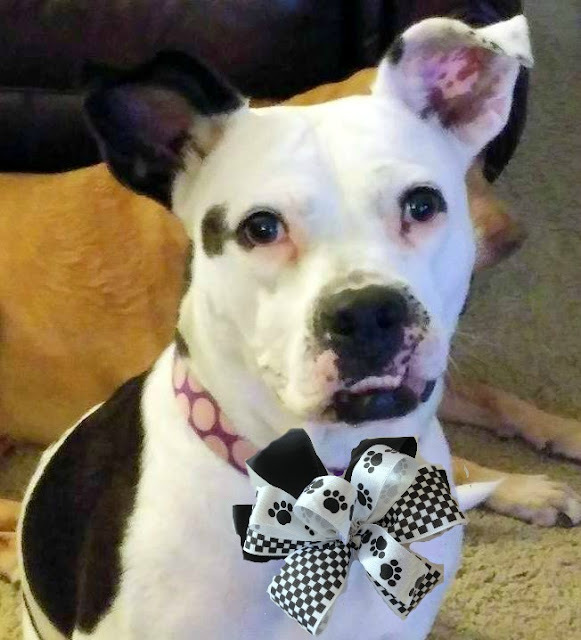 I'm over on Bowdabrablog.com today where my niece's rescued fur baby, Xena, is showing off the layered bows I made for her! Won't you stop on over and check out Xena 's story, from rescue to triumph . . . and see how pretty she looks modeling her Bowdabra bows and how I created them! Very cute Gail. Love the bow, it looks like Mackenzie-Childs. Sweet dog too. Xena looks adorable with her bow. So cute!